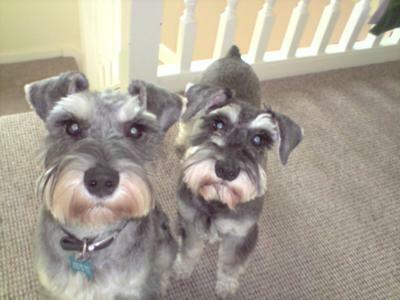 Our Miniature Schnauzers Fred and Alfie sneaking up the stairs and they know they aren't allowed up there!! They are SOOO cute! I love the expression in their eyes!